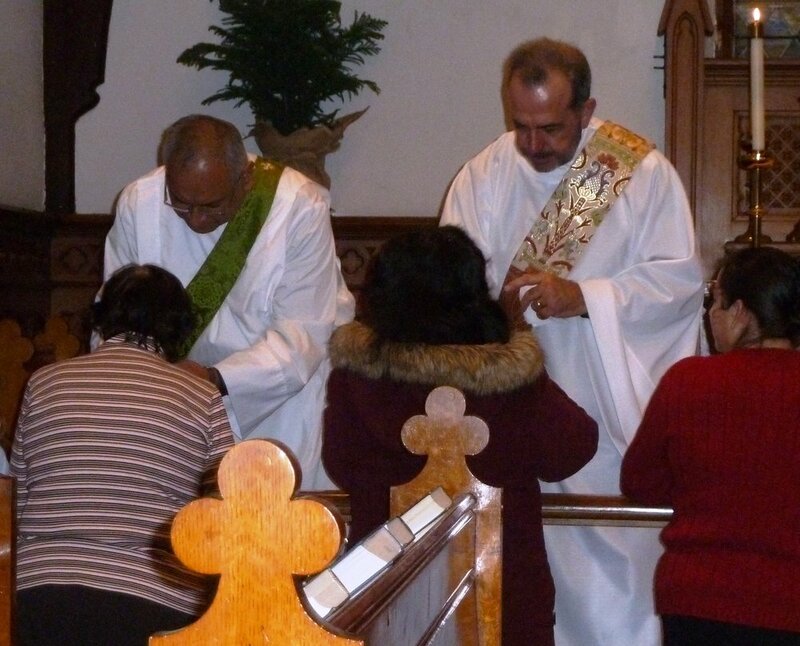 Nearly ten years ago, efforts began in the Diocese of Newark to establish a task force recognizing the importance of outreach to the growing Hispanic population throughout communities in New Jersey. The Rev. John C. Habecker (Class of 1978) while serving as rector of St. John’s, Dover before retirement, supported the committee with valuable counsel from 2008 to 2013. With the support of Bishop Mark Beckwith, the Latino/Hispanic Commission on Ministry has developed local leadership with the mission of attracting Latinos and Hispanics to the Church. The chairperson currently leading the effort is the Rev. Rosa Brown (Class of 1994) Associate Priest at St. Paul’s, Paterson, and members of the commission include the Rev. Miguel A. Hernandez (Class of 2013 and current STM candidate), Deacon at St. Paul’s, Paterson. Last Fall, Hernandez made a bi-lingual presentation on Anglicanism at the 2013 Hispanic Celebration on behalf of the Commission. He has also partnered with his former GTS classmate, the Rev. Timothy Carr (Class of 2013) to welcome Hispanics with Spanish services for the congregation at Carr’s parish, St. John’s, Boonton. Other fruits of the commission’s labors include partnership with the Newark School of Theology to offer Spanish classes for Church Leaders, as well as a plan to offer a New Testament class in Spanish to develop more local lay leaders. Hernandez reports feeling “confident that the Latino/Hispanic Ministry in the Diocese of Newark will grow given the large number of Latino/Hispanic population in our communities, the efforts of the Commission and the support of the Diocese.” The field is ripe.